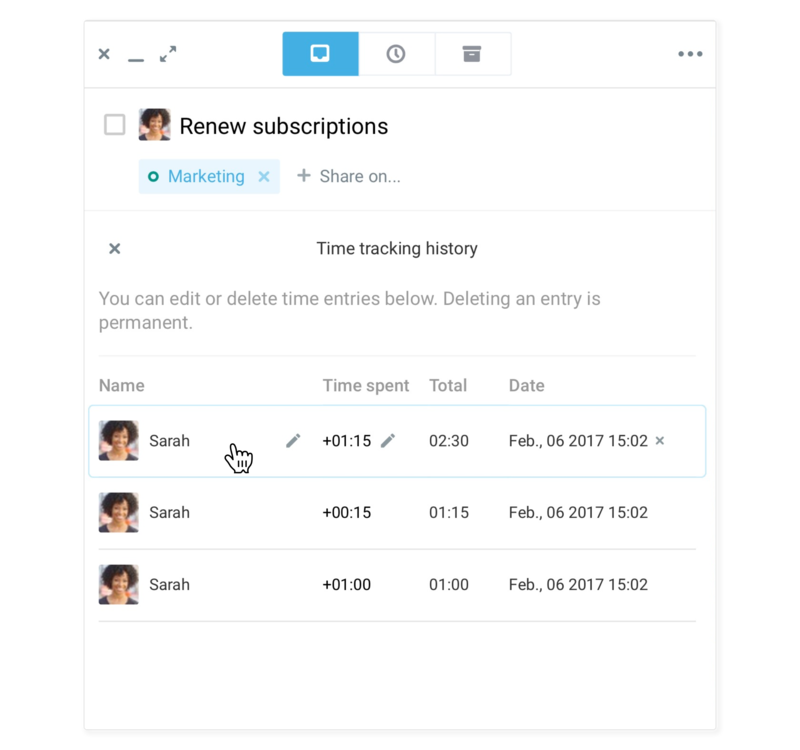 Everyone can see the time tracking history on tasks by clicking on the ‘history’ button. It will show each time spent entry that has been added to the task along with its contributor, the amount of time added, the total time spent including each entry and the date of the work. From there, you have the possibility to edit time spent entries. When hovering on an entry, edition icons will appear to allow you to edit the contributor and the amount of time spent for the entry. You can also delete the entry altogether. Next, take a look at how you can enter your time directly from task lists.